At the time of writing, it is a little over 48 hours until the first ball is bowled in this classic sporting battle of two old foes. The Ashes has few parallels in modern sport in regards to its gruelling competitiveness and rivalry, but as with many contests, it is the quality of the coverage that its success relies on. 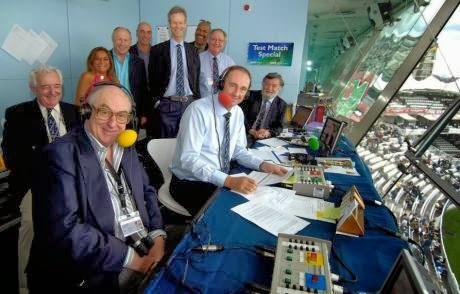 Test Match Special (otherwise known as TMS) has been providing ball-by-ball commentary of England cricket since 1957, and in that time it has developed a huge fan base (just shy of 50k Facebook likes currently), as well as a reputation as one of the finest sports broadcasts in the world. But what is it about TMS that we find so compelling? Geoffrey Boycott's commentary can be especially entertaining, with his no nonsense and uncompromising Yorkshire personality leading to a Take-No-Prisoners approach to cricket analysis that is frankly some of the best around. The banter of TMS is one of its unique selling points, but it still requires that expert analysis to paint a vivid picture of what is happening on the pitch. The TMS team are made up of former pro's that include some of the finest players to have graced the sport, all of whom can speak eloquently about even the most minor of details without losing the audience. The commentary teams change around on a regular basis - perhaps every 20 minutes or so - and yet retain the same impeccably high standards of analysis at all times. Talk about strength in depth. The final overs of an epic test may well have you on the edge of your seat, but for long periods of the match it can be quite sedate, but far from descending into boredom, TMS ensures that when the action isn't quite so intense you can sit back and relax as you enjoy pure audible ambrosia. There is something especially comforting about listening to a broadcast from the sunshine of Australia on a cold British night, transporting you to the other side of the world and - in spirit at least - into the warmth of the Ashes down under. What do you think it is about cricket commentary that sets it apart from analysis of any other sport? Let us know in the comments.